Step-by-step process of how to roast garlic cloves, store them in the freezer and eat them in your dinner tonight. It’s an easy, low-carb way to add healthy flavor to your next recipe! 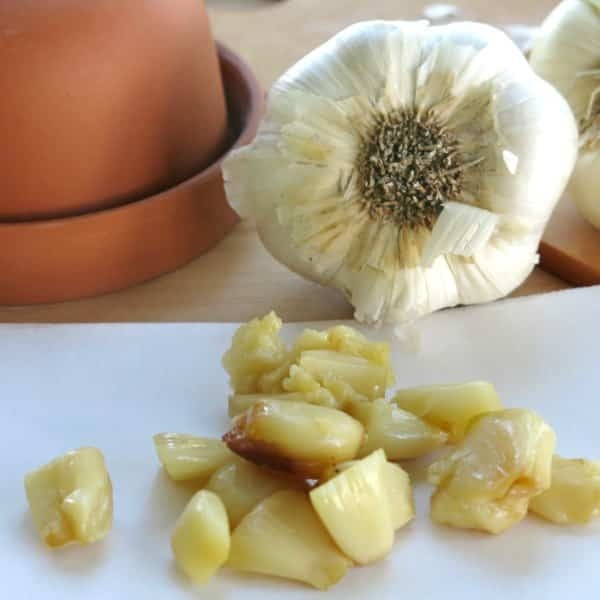 If ever there was a secret for easily enhancing the flavor of a dish, without adding a lot of extra calories, roasting garlic cloves has to be it. Once you know how to do it and have a few stashed in your freezer, you’ll never eat another boring dish again. 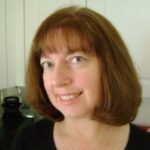 It’s perfect for a low-carb, South Beach Phase 1 or ketogenic diet because you get all the benefits or garlic without adding calories or carbs. 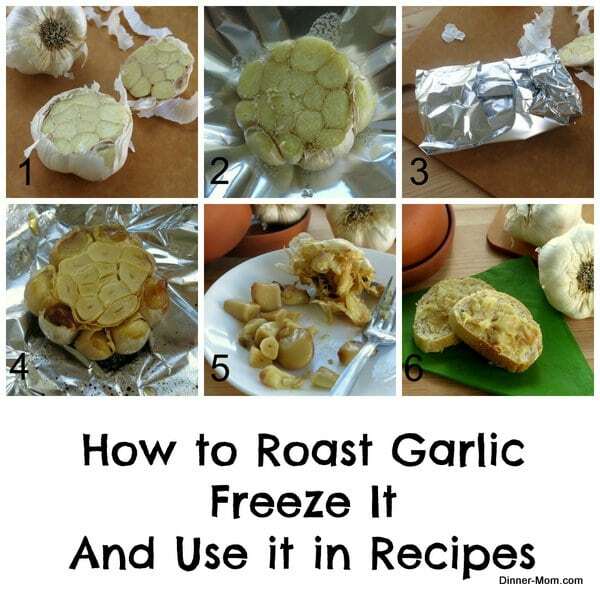 You’re going to want to do several heads of garlic at one time so there is plenty to freeze! Cut the top of a head of garlic so that the tips of the cloves are nipped off and exposed. The cloves that are a little lower on the side of the garlic head can be hard to get. I missed one in the picture below. Do you see it? A 1/2 inch cut is generally good. Peel the loose papery skin off. (It doesn’t all need to come off though.) 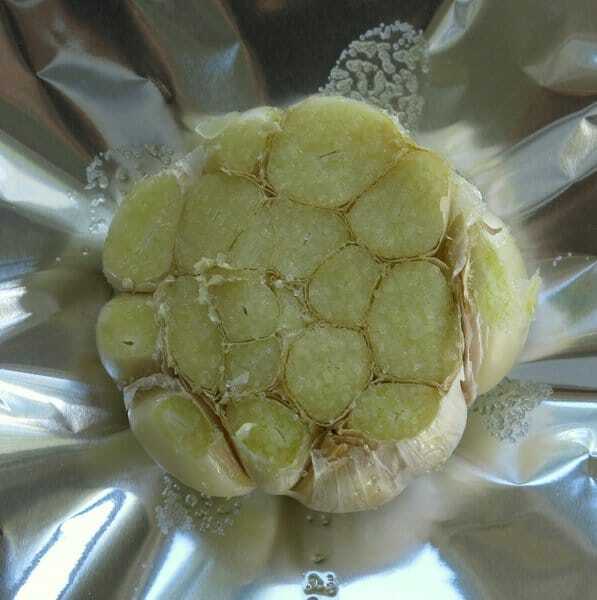 Place the head of garlic on a piece of aluminum foil, drizzle 2 teaspoons of olive oil on top and sprinkle it with salt. The oil will permeate the head of garlic and run down the sides and that’s a good thing. You want the entire head to be coated. 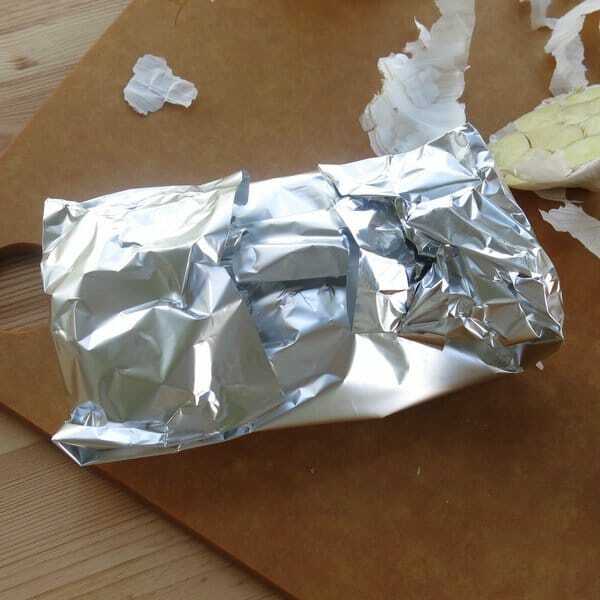 Fold the aluminum foil into a packet…or just pull up the sides and scrunch them closed at the top. Bake the packet in a 400 degree oven for about 45 minutes. The same process is used to cook the garlic head on the grill or in a toaster oven. The cloves will be fork tender when they are done. Allow the head of garlic to cool about 10 minutes before working further with it. Grab the head of garlic by the closed bottom and squeeze out the cloves. Use a fork to tease out any that don’t fall out easily. Roasted garlic will stay good in the refrigerator for about a 3-4 days. Store whole cloves or mashed cloves in an air tight container and lift out as needed. Freeze whole roasted garlic cloves or mashed cloves. Spread whole cloves in a single layer on a baking sheet and allow to them to freeze before transferring them to an airtight bag or container. For mashed garlic cloves, freeze in small portions, such as 1 teaspoon, in an ice cube tray. Stir cloves into crock-pot mashed potatoes. Spread mashed cloves on microwave corn on the cob or into vegetables like cauliflower or green beans. Mix them with softened butter (and herbs, if desired.) This mixture will liven up vegetables, pan fry chicken or fish and in shrimp scampi. Throw a few whole cloves into a salad. 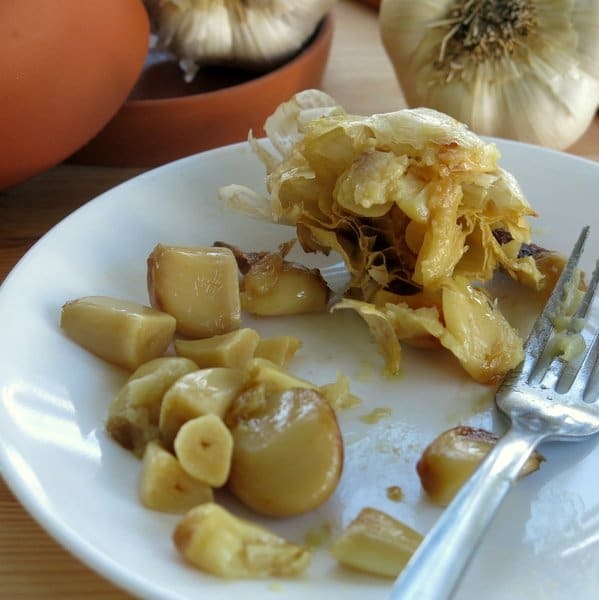 You’ll find more creative ideas in 25 Things to do with Roasted Garlic by The Wicked Noodle. We’ve recapped the whole process in this short video. Tag @DinnerMom or #dinnermom if you make this recipe. We love to see what you are cooking up! 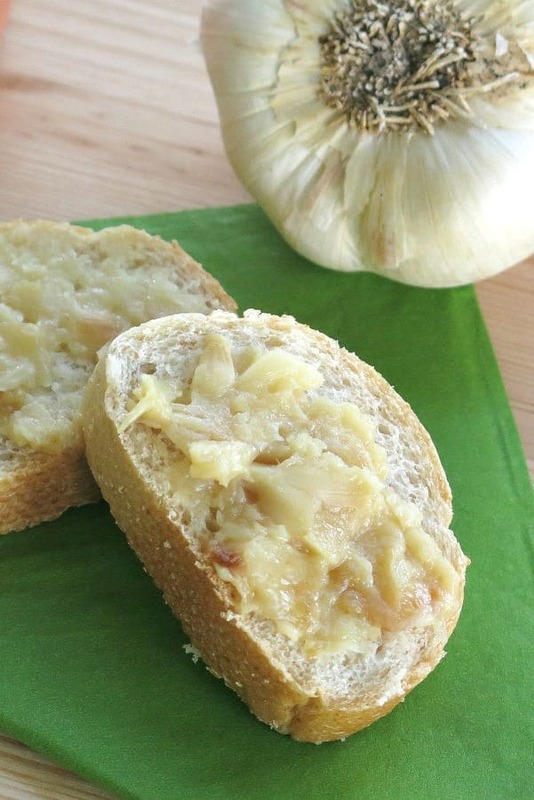 Roasted garlic has a sweet, mellow flavor that will liven up any dish. Prepare several heads of garlic and freeze the extra cloves. It’s an easy way to add healthy flavor to a recipe. 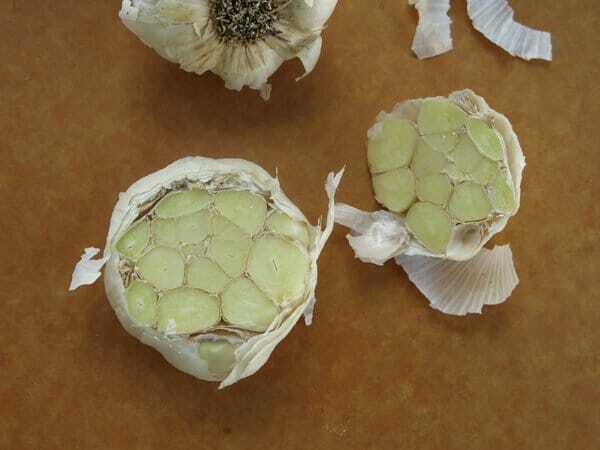 Cut about 1/2 inch off the top of a head of garlic so that the tips of the cloves are nipped off and exposed. Peel off any loose papery skin. 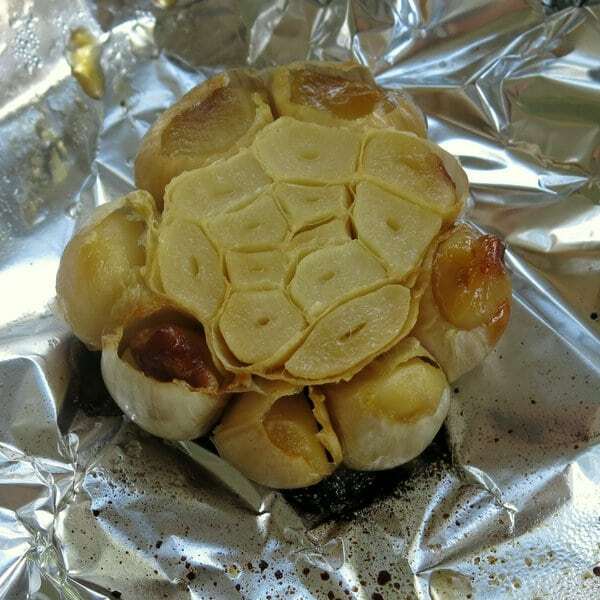 Place the head of garlic on a piece of aluminum foil and drizzle 2 teaspoons of olive oil on top and sprinkle with salt. Fold up the sides of the aluminum foil into a packet. Bake for about 45 minutes or until the cloves are fork tender. Allow the head of garlic to cool about 10 minutes before working with it. Enjoy the cloves whole or mash with a fork. To freeze, spread whole cloves on a baking sheet in the freezer until the cloves are firm and then transfer to an air tight container. Or, mash garlic and freeze small portions in an ice cube tray. Prepare and cook several heads of garlic at one time. Spread on bread, add to pizza or pasta or check out the other ideas in the post. I can almost smell your roasted garlic through my computer screen. YUM! I adore roasting garlic but have never frozen it before. I need to try this so I’ll always have it on hand. There is nothing better! Great post, Marjory. Thanks for the tip! Thank you for sharing this recipe. I can’t wait to purchase the garlic. Double excited about trying to freeze it. This will really come in handy for me. I hope you enjoy it! It’s such an easy way to add flavor to recipes! I can’t believe I haven’t done this before. It was so easy to do. I made garlic toast and everyone raved. Thans for the recipe. Can you can the roasted garlic in Mason jars? Hello! I’m not very familiar with the process for canning. But, it seems like it would work. Your so welcome! Thanks for your comment! 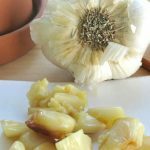 Does frozen garlic need to defrost before using? Thinking of freezing raw garlic. Hello! 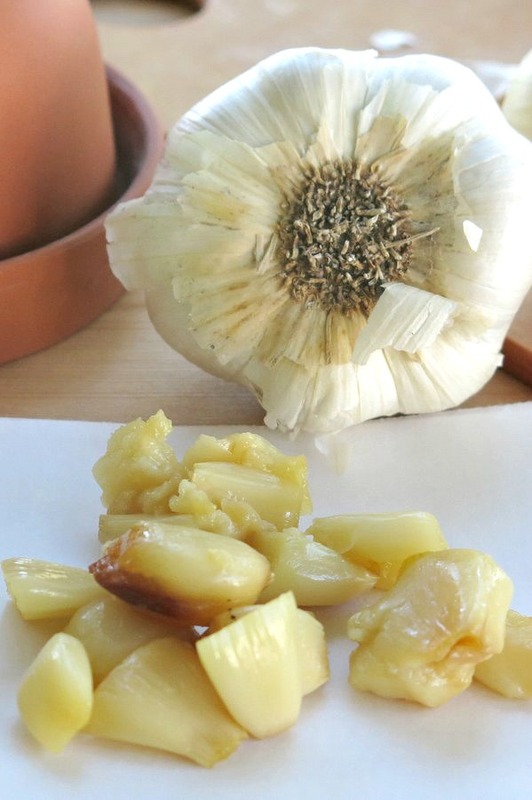 Once you’ve roasted garlic cloves in olive oil, use them directly from the freezer when cooking! how long will the garlic keep in the freezer ? I love roasted garlic b/c fresh is just too strong for me. Hi! You should prepare and then freeze it right away. Once frozen, it is safe to eat for a long time, but for best quality we eat within 2-3 months. Thanks for the question. Hi! You will want to heat it up, but you won’t need to go through the roasting process again!